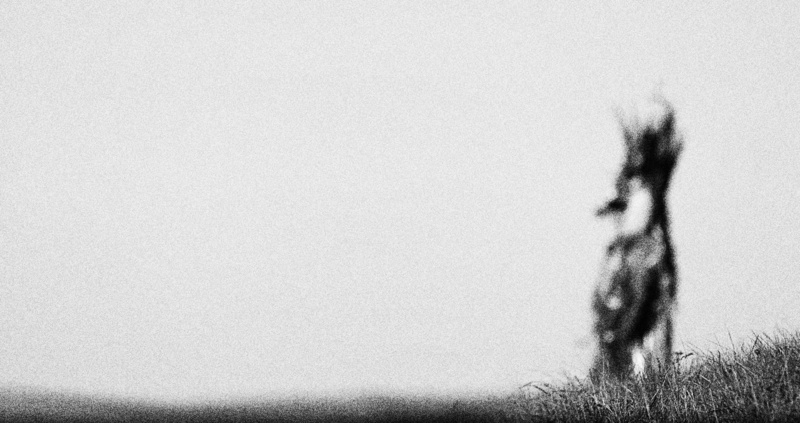 “Shirley Collins is known in part for her contributions to the English folk revival of the 1960s and 1970s; beginning in 1959 she released a number of solo and collaborative albums with amongst others her sister Dolly, Dave Graham and Ashley Hutchings/The Albion Band. 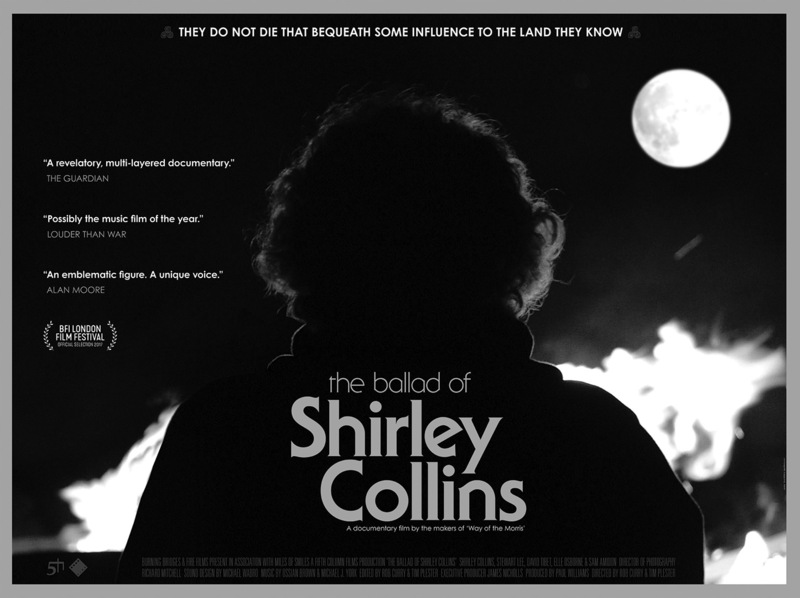 “Prior to that new album Rob Curry and Tim Plester began work on a documentary of her work and life called The Ballad of Shirley Collins, which at the point of writing was nearing completion, with an accompanying trailer having been released. 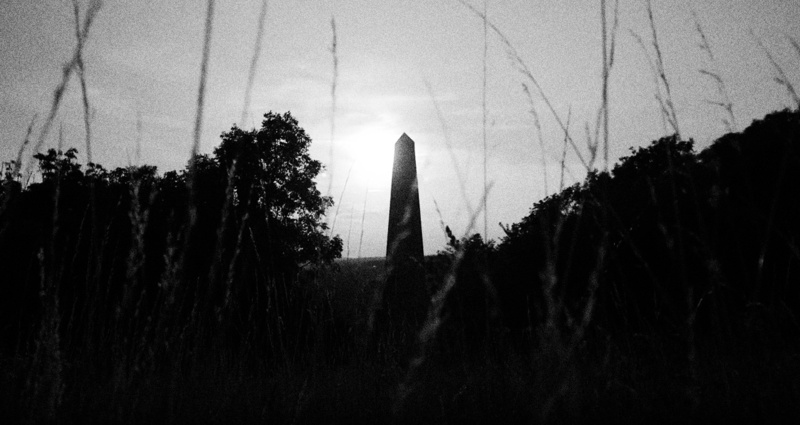 The tone and presentation of the trailer and related publicity appear in part to show the film as reflecting how Shirley Collins and her work now seem to be intertwined and connect with modern day tropes, themes and interests in what could variously be called underground, neo or wyrd folk, folk horror and a sort of Arcanic Britannia. 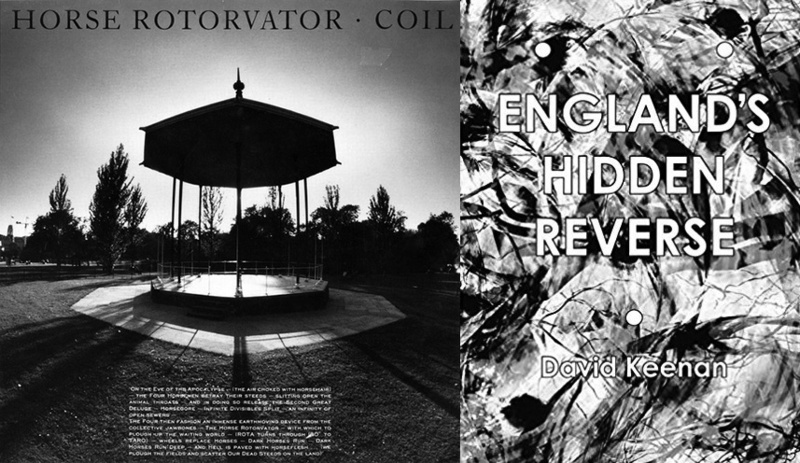 “Those post-industrial strands of experimental music also include Nurse With Wound and Coil, which while musically different and not necessarily folk-orientated, has been described and connected as being “England’s Hidden Reverse” by David Keenan, in the title of his 2003 book of the same name in which he writes about their work. 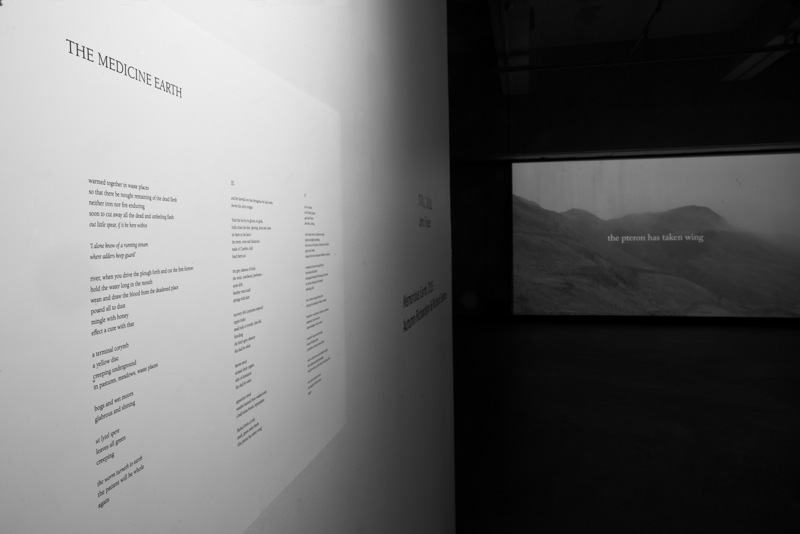 “Alongside the connection to David Tibet, such strands are further connected with Shirley Collins’ recent work due to Stephen Thrower and Ossian Brown performing on her new album, both of whom have worked with Coil. 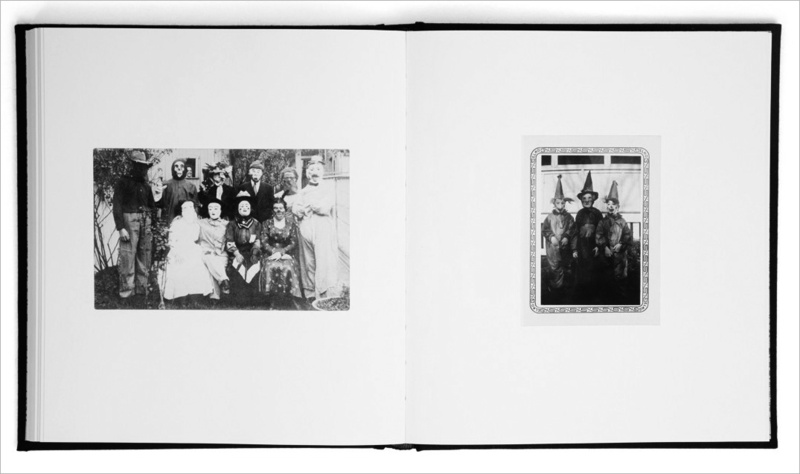 In a further intertwining of the underground, darker, flipside and undercurrents of folk-related culture, Ossian Brown compiled a book released in 2010 called Haunted Air which collects found photographs of Halloween from previous eras. 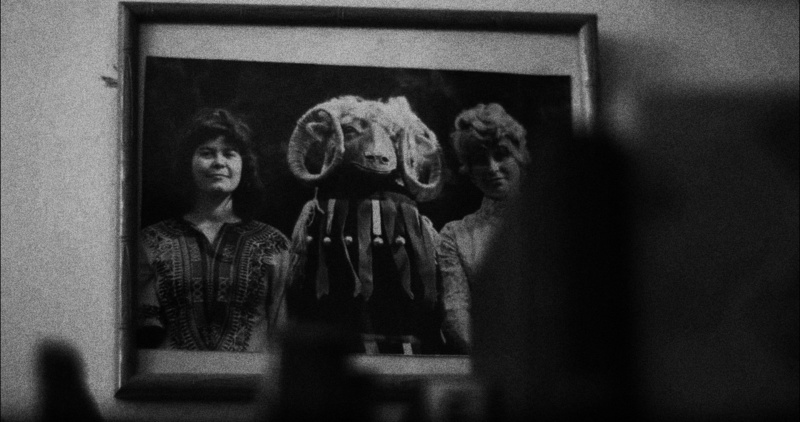 “Such a gathering and layering of the uncanny over time is also present within The Ballad of Shirley Collins trailer; at one point a framed photograph is shown of Shirley Collins and her sister Dolly standing either side of what is either a folkoric totem or possibly somebody in a traditional folkloric ram’s head costume. 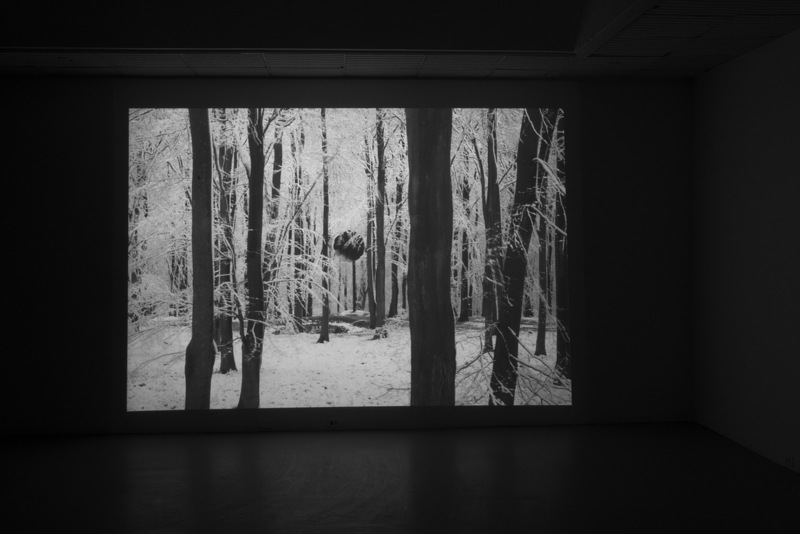 “…whose work is situated in the edgelands between what we once called human and the natural… Pastoral Noir will look at artists whose work calls into question the dichotomies between past and present, city and countryside, natural and man-made, within the landscape of the British Isles. 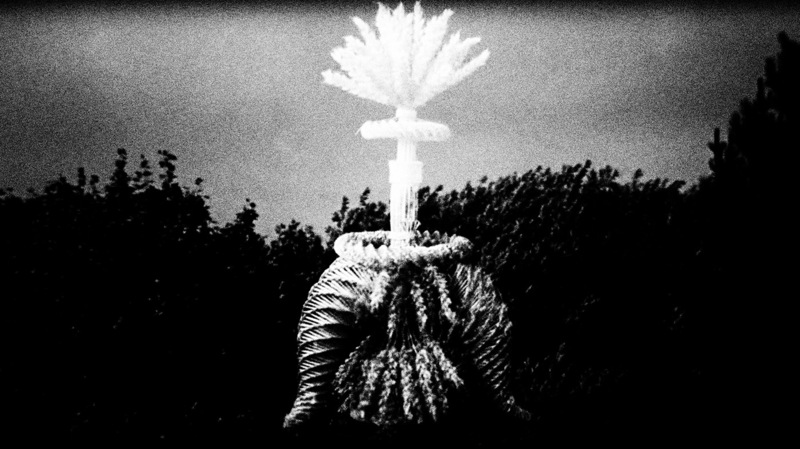 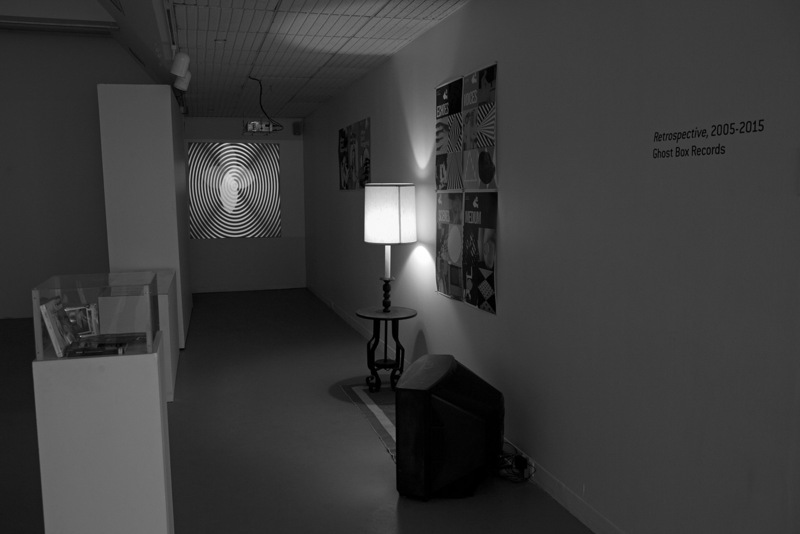 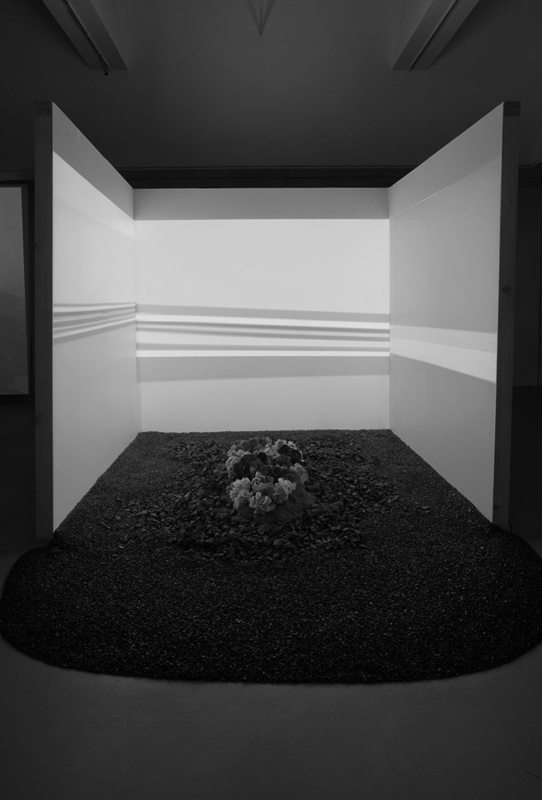 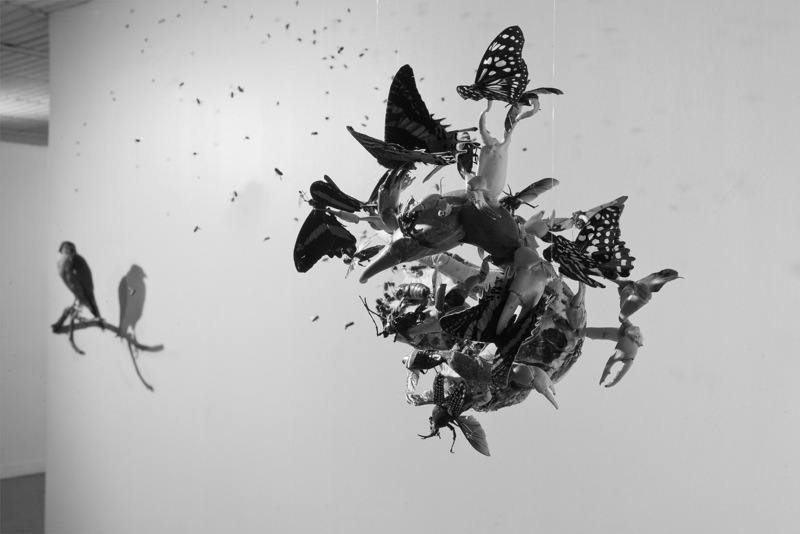 The work shown included Tessa Farmer, Jem Finer, Ghost Box Records, Tony Heywood & Alison Condie, Autumn Richardson and Richard Skelton and could be considered an exploration of where the further reaches of folk and pastoral culture meet, intertwine and interact with what has come to be known as hauntology.